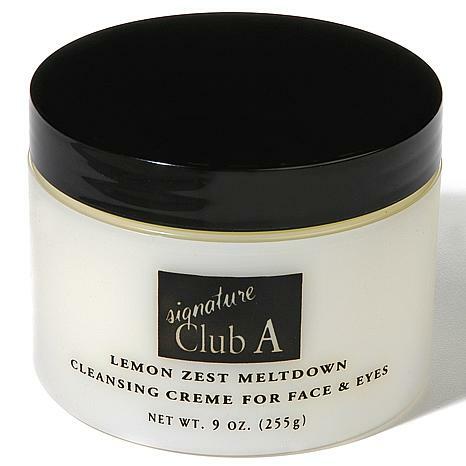 Start and end each day with the luscious fragrance of lemon. An enjoyable addition to your daily skin care regimen, this creme gently dissolves all traces of makeup from the face, neck and eyes with no need to tug on delicate skin. Water, Caprylic-Capric Triglyceride, Glycerin, Tridecyl Stearate, Neopentyl Glycol Dicaprylate-Dicaprate, Tridecyl Trimellitate, Stearyl Alcohol, Fragrance, Ceteareth-20, Myristyl Myristate, Glyceryl Stearate, Dimethicone, Carbomer, Citrus Medica Limonum (Lemon) Extract, Zea Mays (Corn) Oil, Retinyl Palmitate, Cholecalciferol, Retinol, Triethanolamine, Titanium Dioxide, Ascorbic Acid , Disodium EDTA, Sodium Benzoate, Methylparaben, Propylparaben, Diazolidinyl Urea, Yellow 5. This is the BEST makeup remover I have ever used. It literally melts everything on your fare away! You gently wipe your face clean and apply your night cream. I love this product and I will use it forever! I strongly recommend that you at least try it. You will be hooked!! I have used this product for years, and it is one of the best, gentle but effective make-up removers. 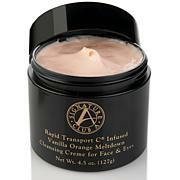 It makes your skin silky smooth, doesn't pull on tender skin, and fully removes makeup. Finally a cleanser that works and easily removes all makeup including eye shadow and mascara. It thoroughly cleanses but it doesnt require pushing or pulling the skin. Leave it on for 1 minute and it melts the makeup. Adding to the delight is the fresh scent. I love these meltdown - I won't use anything else! Smooth, non-irritating, non-drying, pure luxury! I recommend them to everyone I know. 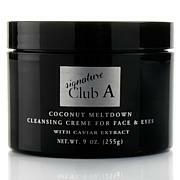 I have been using Signature Club A for quite a few years now,starting out with the Coconut Meltdown,then I ventured out to try the French Vanilla, the Vanilla Orange, the Lemon Zest and Finally the Precious Moroccan Argan Oil and Baobab Meltdown Cleansing Creme. I love them all,especially the buy one get one free !! !